Back in 2012 I did Greek mythology, but I chose pretty popular myths and characters to base my challenge posts on. This year I have a line-up of some pretty obscure characters. I think most will have heard the names but not know exactly who it is or how they fit into the myths. Never fear! I got you! I'll try to include quotes from my books as well (the Oracle of Delphi series and the Mythos series), which have grown like crazy since 2012. Many quotes to choose from this go-round! Excited for April 1st! Sign up to participate by clicking the banner! Obscure myths and stories. That is unique. I actually found a few weird Greek myths as I did mine which were literary terms. I just ask, why can't Zeus mate with human females as a human male...WHY MUST HE BE ANIMALS!!!? I know. Zeus is a maniac. But that's why we love him! This looks interesting. I can always use a little light humor! I don't know much about Greek mythology except I want to know more. 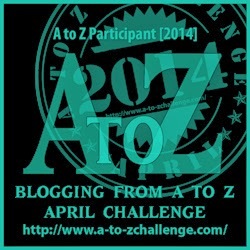 I look forward to reading your posts in April to achieve that goal! Happy A to Zing! Thanks! Hope my posts are as informational as they will be fun! Awesome! I'm also doing a Mythology theme for the Challenge this year. I'm looking forward to seeing what you have in store for us. Awesome! I'll check you out for sure! 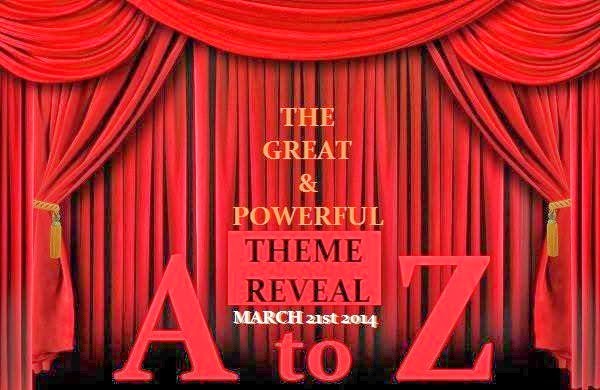 My daughter considers herself a Greek Mythology Enthusiast (her words) and she jump off the ground when I told her your theme for A to Z. We (the royal we) will definitely be follow your posts. This sounds like a lot of fun! I'm bookmarking your site so I don't miss any posts in April. Great theme! Have a wicked sweet time blogging! I'm a first timer btw! Well I hope I do the myths justice! Excited to start! Hi there.. Interesting theme. Looking forward to read some very curious stuff this April on your blog ! Looks great! I'll see you there. I always love a good mythology theme, and this one sounds like a lot of fun. I'll be checking back! :) happy A to Z! What makes Transformed a unique story?